Indians mostly welcome and celebrate spring with a festival of colors (Holi), which incidentally a night before also has an occasion to light a fire to burn the evil spirits. 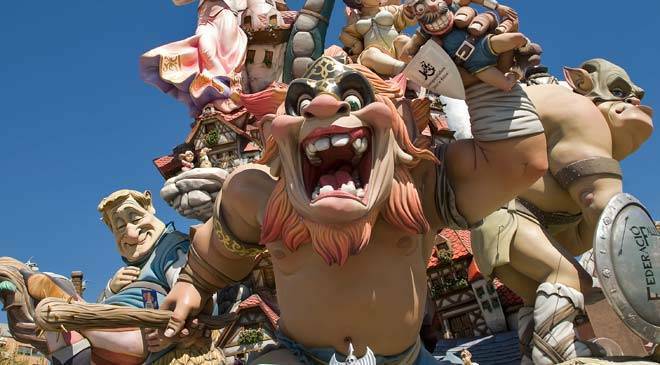 Similarly, Valencia welcomes the spring with its Fallas festival. Monumental, yet transitory cardboard statues are carefully built over the course of months, to then be devoured by fire in a unique spectacle. In nature it resembles more like Dussehra celebrated in India just before winters. 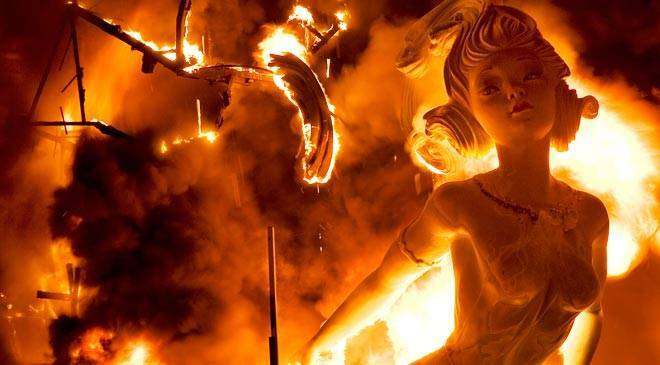 Las Fallas is Valencia’s most international festival. In the week of 19 March, the city fills with gigantic cardboard monuments, called ninots, for a competition that is marked by art, ingenuity and good taste. The origin of the celebration goes back to the carpenter’s parot: these were wooden lamps used to light their workshops in winter, which they would burn out in the street on the night before the feast of San José. At first they would make them look like human forms by decorating them with old clothes and fabric. In the mid-19th century, however, they began to increase in size and height and to improve their forms, becoming huge decorative statues. Although the most important acts are held during the week of the 19th, Valencia is busy preparing the festive atmosphere from 1 March with the mascletás, noisy firework displays that take place every day at 2pm in Town Hall Square. When the night of the 15th March finally arrives, it is time for the traditional plantà of the fallas. People work all night to erect more than 700 statues in the city’s streets and squares. Some even start setting up days before – these huge statues can reach up to 20 metres in height. On the morning of 16th, Valencia dawns with its streets inhabited by caricatures and satirical representations that criticise politicians, celebrities and the most relevant events in the news, with a great sense of humour. One can enjoy these impressive scenes for the following days until the cremà, on the night of 19/20, when they are set alight amidst a fascinating spectacle of light, music and fireworks. All are burnt except one ninot which, elected by a popular vote, is saved from the flames to form part of the collection at the Fallero Museum. Another of the most exciting moments of the Fallas is the floral offering to the Virgin Mary. When the Fallas organisations parade on 17 and 18 March in honour of the Virgin, they create a mountain of flowers 14 metres high. 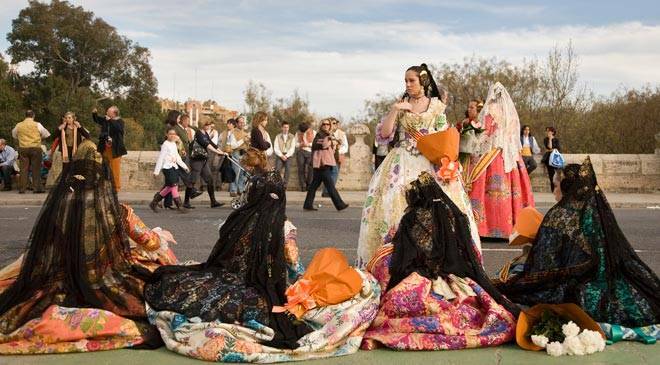 Open-air celebrations, parades, bullfights, competitions and other activities complete the festive programme.